For the last few years, I have pushed the importance of making your website mobile friendly. Most everyone understands the need for a mobile site in today’s world of mobile phones. What’s the next big thing in web design? It’s something called an SSL (which stands for Secure Sockets Layer). Have you ever noticed when you visit a website (especially those with shopping carts) the lock icon that appears at the top of your browser? This means that the website is secured with an encrypted link between the web server and your browser. Confusing, right? Well, that basically means that when someone accesses your website, their connection is secure. A website that is secured with an SSL has a website address that starts with // rather than //. This has always been a necessity for ecommerce websites collecting credit card numbers but is now becoming the standard for all websites. Google started talking about this new standard a few years ago, “we’d like to encourage all website owners to switch from HTTP to HTTPS to keep everyone safe on the web.” (source) Last year, Google announced that they will begin to mark any websites without an SSL that collects credit cards or passwords as non-secure. They are not currently penalizing websites in the search results, but your visitor may receive a message in their browser indicating that your website is not secure. You may have noticed this on your WordPress login page. Eventually there is talk that websites with contact forms will also receive this non-secure notification. 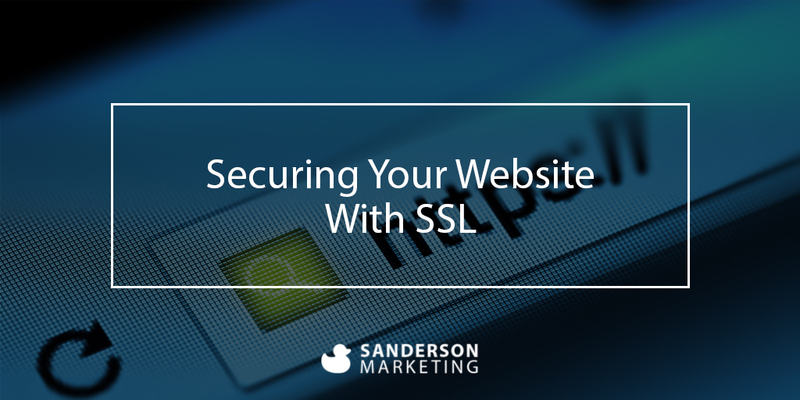 My advice is to stay ahead of the curve and update your website to SSL now. An SSL needs to be installed by your website hosting company or your webmaster. There are several steps involved in transitioning your website from HTTP to HTTPS so it’s important that you involve someone that knows this process well. Once the certificate is installed on the server, there are some adjustments that need to be made on your website itself to redirect your traffic to the secure version of your site. If you would like help setting up an SSL on your website or have questions, please contact me. Overall, the disadvantages of using SSL are few and the advantages far outweigh them. It is critical that we correctly use SSL on all websites. Proper use of SSL certificates will help protect our customers to gain their trust and sell more.